For emergency responders and traffic operators, safety on highways has long been a struggle to reduce response times to accidents while keeping roadway congestion to a minimum. For researcher Anuj Sharma, there’s subtler factors to be taken into account. One of those factors? It’s a syndrome called cognitive bottleneck. “Even if there is an incident going on, your brain might block it out and you will not be able to pick it up really quickly,” Sharma explained. If technology could seek out delays faster, aiding traffic operators and emergency responders to pinpoint problems and avoid cognitive bottleneck, that system could have huge economic and safety benefits. 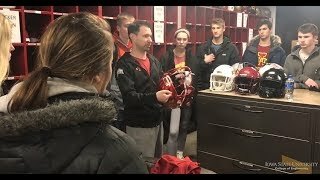 Avoiding the overload is a main goal of the National Science Foundation (NSF) grant “PFI: BIC- A Smart Service System for Traffic Incident Management Enabled by Large-data Innovations (TIMELI).” The new one-million-dollar project is currently under way at Iowa State University (ISU). Sharma, an associate professor in the Department of Civil, Construction and Environmental Engineering (CCEE), is the principal investigator leading a multi-disciplinary team of civil, mechanical, computer, human factors and electrical engineers working on TIMELI. The project uses large-scale data analytics to improve traffic control practices. The team’s idea is that early detection, response and traffic management would, in turn, reduce both the negative effects of highway congestion and speed up aid to accidents. A crucial part of TIMELI is developing a human machine interface that traffic operators could rely on to point out potential congestion areas on roadways and suggest how any incident could be handled efficiently. This interface could look like a computer or TV screen, but the computing system needed to analyze the traffic data and point out the problem areas is anything but basic. Soumik Sarkar is an assistant professor in mechanical engineering at ISU and a data scientist within the TIMELI team. With inexpensive traffic volume and speed measurement systems (think sensors and cameras), Sarkar says traffic data can be gathered at a tremendous rate. This is where avoiding cognitive bottleneck and utilizing positive human-machine interaction is crucial. 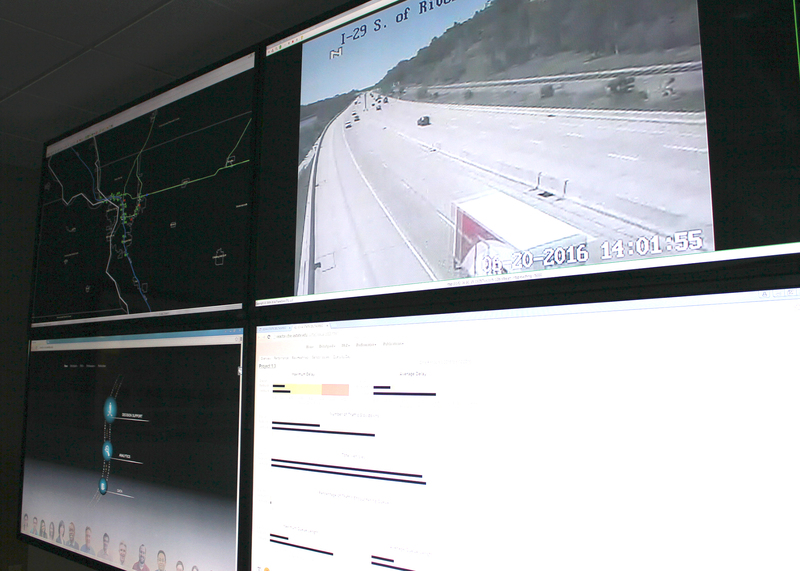 Looking at screens to monitor accident sites, deciding which messages to place on dynamic highway signs, and even which highway signs to light and which to leave off are examples of the responsibilities that fall to traffic operators. With the new interface, TIMELI researchers are looking to help operators avoid the cognitive bottleneck. “If your system is smart enough to figure out what needs to be done and what information needs to be filled out, that will save some more time,” Sharma said. The team cites that, currently, the Federal Highway Administration (FHWA) estimates a quarter of the congestion on U.S. roads is caused by traffic incidents. That could be a crash or a stalled vehicle. This congestion has major consequences. For every minute of congestion, risk of secondary crashes increases by nearly three percent. Allow only ten minutes of congestion, for example, and the risk of a secondary crash increases about 30 percent. To top this off, the team’s research cites that congestion costs industries like commercial trucking more than $9 billion annually. Both Sharma and Sarkar agree that the success of TIMELI hinges on major factors: creating user-friendly interfaces for operators; showing constant, detailed traffic data visually; and mitigating the decision-process when congestion or accidents occur. Both researchers admit there will be challenges, including producing the most accurate prototype for the big-data project. Ultimately, the team hopes all this will lead to reduced response times to traffic accidents, less congestion on roadways, and higher rates of employee retention for traffic operators due to less stressful decision-making processes. Most importantly, the TIMELI team is researching solutions not just from an engineering and science perspective, but also from the perspective of the people who will use the project’s results. This NSF project started in Sept. 2016 and has an estimated end date of Aug. 2019. Soumik Sarkar, Neal Hawkins, Srikanta Tirthapura and Stephen Gilbert are co-principal investigators of the project. 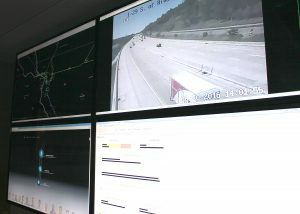 Testing will be carried out at the Center for Transportation Research and Education’s Traffic Operations Laboratory, which is connected to the Iowa Department of Transportation’s data streams. Several researchers from ISU’s Institute for Transportation (InTrans) will participate in this project, including Sharma and Hawkins. 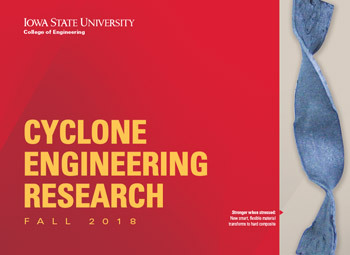 Read more about “PFI: BIC-A Smart Service System for Traffic Incident Management Enable by Large-data Innovations (TIMELI).” Follow us on Facebook, Twitter and LinkedIn (Iowa State University Civil, Construction and Environmental Engineering and ISUConE) for research updates from ISU CCEE. 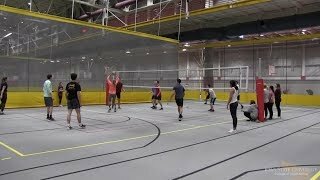 And keep up-to-date on our website, ccee.iastate.edu.